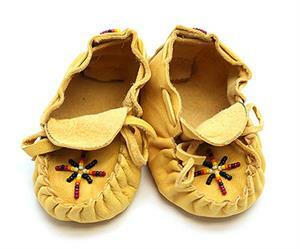 These baby moccassins are made out of leather with a multi color seed bead design. They are size 1 and made by Navajo artisan Irene Ashley. Color and design of beads will vary.